Announcing our newest offering for your SAS deployment. 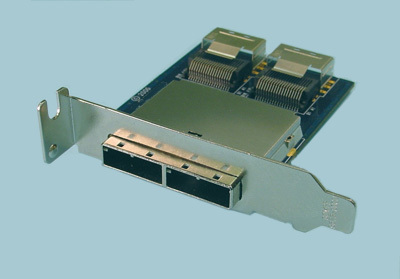 Compatible with SAS and SATA I/O controllers, enclosures, and chassis. We have designed these new adapters around the most popular of the new Mini SAS connectors. you will need Crossover SATA cables to make this work. 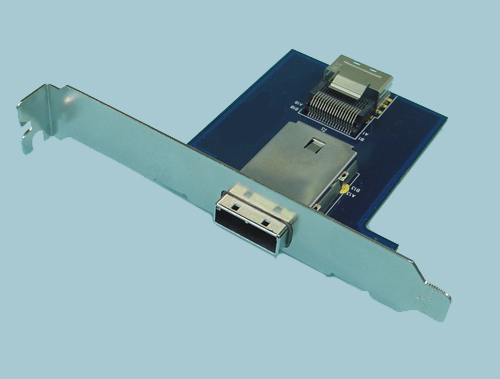 To use standard SATA cable you will need a "Straight-Thru" external cable.